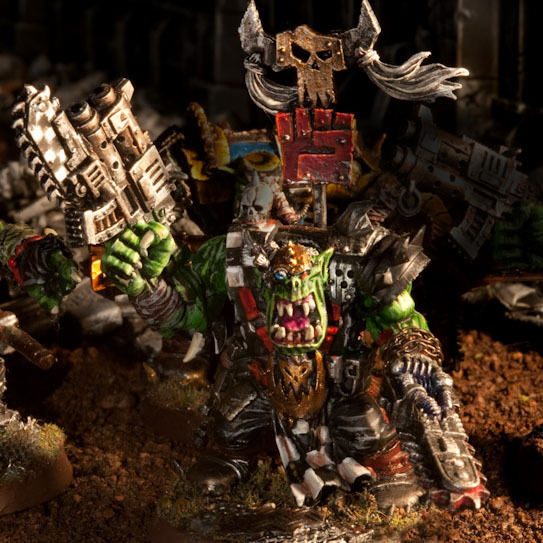 ← Orks vs. Tyranids: Which do you think is the strongest list? Hi folks. This is a quick one tonight. I got to try out a slimmed down versionof my Tzeentch wolves (The Elect). I had a blast shooting up some Grey Knights in a 1500 pt game. It was great practice for TSHFT where I plan to avenge my losses with a new army build. The core was solid and my new favorite psychic power is Murderous Hurricane! The mojo part works whether it wounds or not, and can really slow down units for lovely kiting. It could potentially encourage one’s opponent to make some errors, and cause failed charges and wasted turns. I’ve been painting more Elect but I don’t have pics just yet. 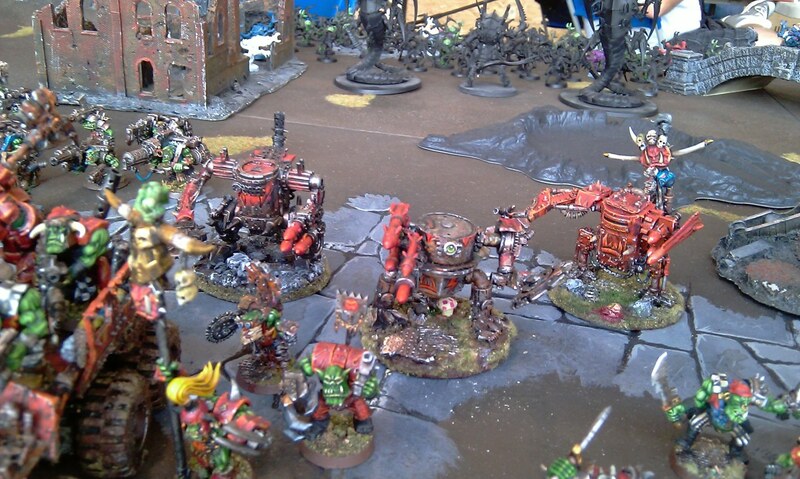 The above photos were taken by Zen at TSHFT of my Class B winning Orks. I revised the list a while back to include Snikrot, I think this build below is pretty strong for Orks. If anyone has any ideas on freeing up points for more Lootas, Kans, or Buggies please let me know. 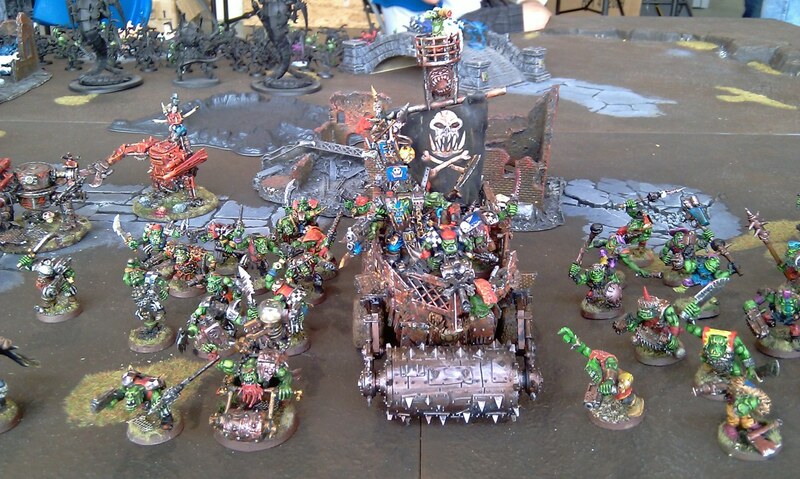 This entry was posted in 40K Model Photos, Army Lists, Orks, TSHFT, Warhammer 40K. Bookmark the permalink.